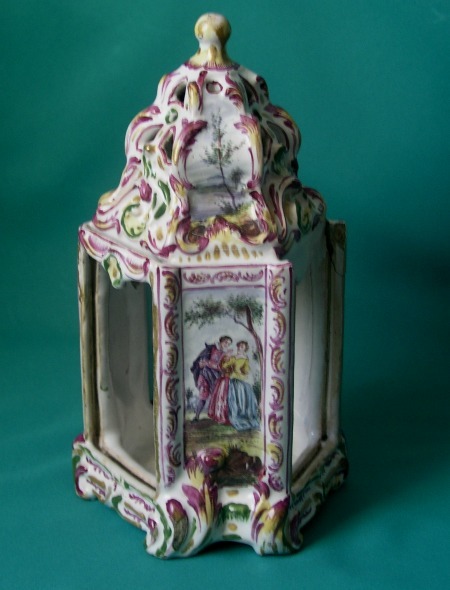 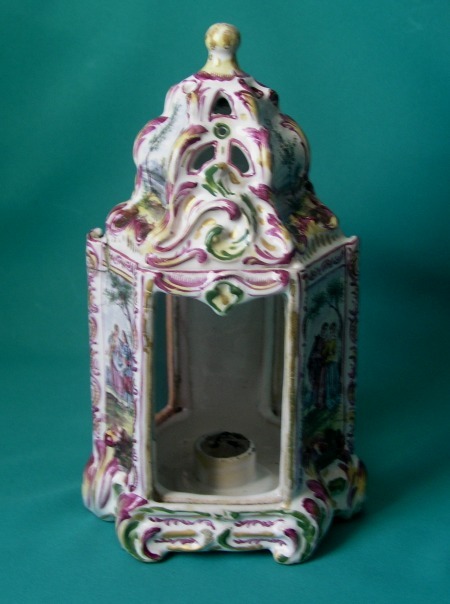 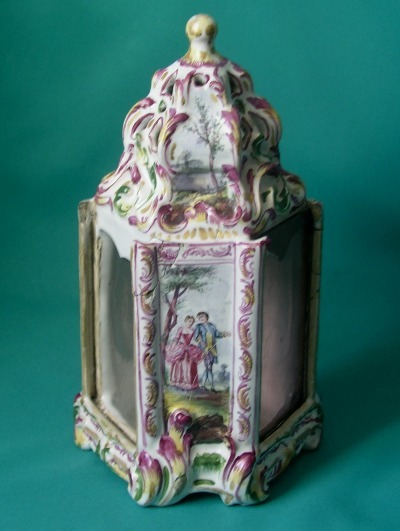 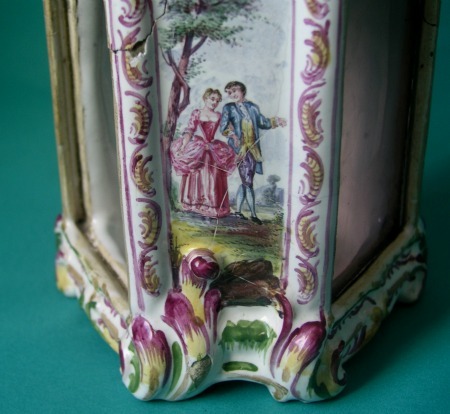 A fine French Faience Hexagonal Candle Lantern, the alternating panels with courting couples and decorated in relief with scrolling leaves, painted with polychrome enamels and gilt, one of the original glass panels still intact. 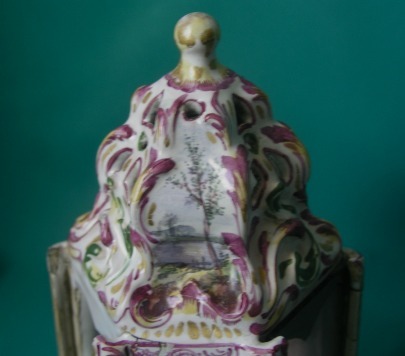 Dimensions: 24cm. 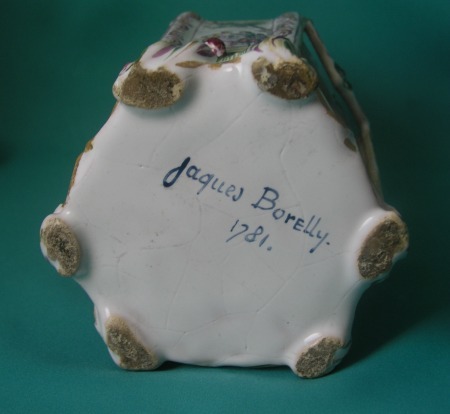 Condition: Marks : Signed on the base "Jaques Borelly 1781" in blue.